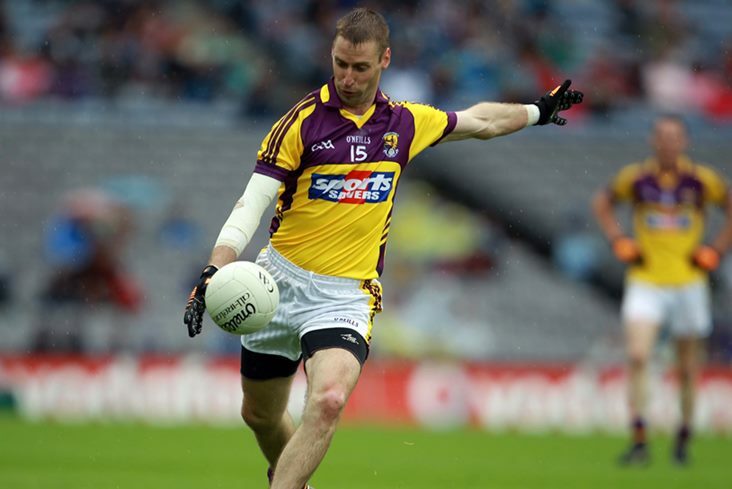 Former Wexford All Star Mattie Forde helped Kilanerin clinch a late victory over Ballyboughal of Dublin in this afternoon's Leinster club intermediate football championship final. In what was an airtight encounter at Innovative Wexford Park, the teams couldn't be separated after the opening 30 minutes and went in at the interval deadlocked on 0-5 apiece. The Dublin champions looked on course for the provincial silverware when they opened a 0-10 to 0-8 lead heading into the last quarter of an hour but their Model counterparts finished this decider brilliantly. The hosts struck five unanswered points - four of which came from their 38-year-old talisman Forde - to reel in the men from capital. Three points down, Ballyboughal had the chance to level with a late penalty but it was sent over instead and Kilanerin held on for the silverware and a place in the All-Ireland semi-finals against Michael Glavey's of Roscommon early next year. Meanwhile, fellow 'Wexicans' Fethard are through to the last four of the All-Ireland club junior hurling championship after overcoming All Britain champions Brother Pearses earlier in the day on a 0-18 to 2-9 score-line in Ruislip. Kilanerin - T Hughes; A Jones, B Hobbs, D Jones; R Hughes, C Kavanagh (0-1), G O'Toole; N Breen (0-1), N Hughes (0-1); M Gethings, M Forde (0-6, 4f), M Boland (0-1); E O'Toole (0-1), P Hughes, D O'Toole (0-1). Subs: C Devitt for R Hughes, B Hughes for M Gethings, T Boland (0-1) for N Breen. Ballyboughal - D Downey; C McGinley, N McElligott, G Dungan; T Rooney, Cathal Flynn, J Rooney; R Downey, Cormac Flynn (0-1); K Lynch, J Rodgers (0-1), C Wynne (0-3, 1f, 1pen); B Callanan (0-1), G Rooney, G Seavers (0-4). Subs: M Provizors for Cathal Flynn, W Cooney for C McGinley, J Ryan (0-1) for M Provizors, J Flynn for R Downey (BC), M Provizors for G Rooney. Fethard - S Foley; M Power, R Tubrid, D Mullen; J Sutton, K Rowe, R Waters; G Foley (0-3), J Tubritt; E Power, M Wallace (0-7f), D Barden; C Dwyer, G O'Grady (0-2), M Dwyer (0-6). Subs: B Donohoe for E Power; D Foley for C Dwyer. Brother Pearses - M Noonan; J Bermingham, P Muldoon, B Smith; D Sexton, K Reid (1-2, 1-1f, 0-1'65), N Murphy; S Frawley, E Sheils (0-1); J Greaney, P Hogan (1-1), S Page; D Connolly, C Kennedy (0-1), T Clarke (0-4, 1f). Sub: J Joyce for J Greaney.